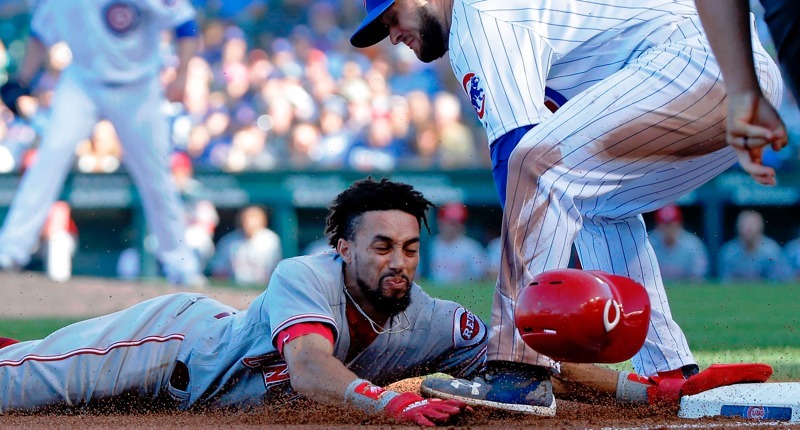 Could Free Agent Billy Hamilton Become a Uniquely Impactful Weapon for the Cubs? This year was unusually ripe with interesting non-tenders around baseball. Be the large free agent pool or the increasing stinginess of teams or the number of tankers or merely a fluke, there are a ton of new free agents that could be very useful in a complementary role. One name stood out to me above the rest, though. No, it’s not because he’s necessarily the best new free agent, or even necessarily the most impactful. Instead, it’s because he’s the most freakishly unique. I wanted to show off Hamilton’s unbelievable speed and defense in videos … and those were literally just from September and August. He does this kind of stuff constantly. It’s just that, as you know, when he’s not facing the Cubs, Hamilton doesn’t hit. At all. He’s routinely among the worst two or three regulars at the plate in all of baseball, with a career slash line of just .245/.298/.333 (70 wRC+). To avail yourself of his incredible baserunning and defense – to get enough of it to really matter – you have to put him in the lineup. And then he gives back so much of that value at the plate. So, then, you’re left with a guy who is Terrance Gore with better outfield defense and maybe a slightly better bat. Can a contender with a four-man bench really carry a guy like that? There’s an idea for using Hamilton that has floated around for a while now, as first discussed by Travis Sawchik here, and most recently by Mike Petriello here. The gist is that, yes, he’s a bench guy, but as soon as any one of your non-stars gets on base in a game, Hamilton takes over. That way, you skip at least one Hamilton plate appearance, and you guarantee him at least one time on base. In between, he plays elite defense in the outfield. Not bad, eh? Maybe you wouldn’t have to be *quite* so extreme about it, but the idea is that – on the right roster – you could extract so much more value from Hamilton than you could if he were just a traditional bench guy, without losing so much at the plate. For this to work, especially if there was only a four-man bench, I reckon you’d have to have a roster with a ton of versatility, since you’d have to move guys around on the regular mid-game to accommodate Hamilton entering to replace a variety of different types of players. 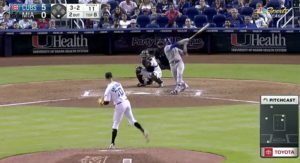 You’d also have to have an outfield with at least one “open” spot – i.e., an outfield that is not comprised of three everyday starters whom you aren’t going to yank mid-game. And you’d have to have a clubhouse of buy-in so strong that players aren’t going to be chapped about routinely being pulled after reaching base as early as the third or fourth inning. 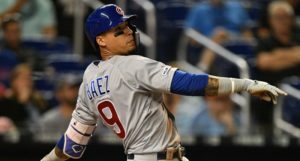 Could the Cubs be that team? Well, I have no doubt they have the creativity (and the manager) to make it work. They certainly have the positional versatility and the outfield flexibility. 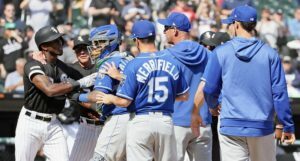 Would guys like Kyle Schwarber and Ian Happ and Albert Almora and Ben Zobrist and a theoretical infielder (if the Cubs swap out Addison Russell on the roster) be cool with this happening to them all the time? In service of the greater good? Is that kind of buy-in realistic? That’s hard to say, and again, you wouldn’t *HAVE* to be obsessively strict in deploying this strategy. Plus, there’s the fact that, even outside this strategy, Hamilton seems like a great bench guy to have around, right? Such a late-game weapon. 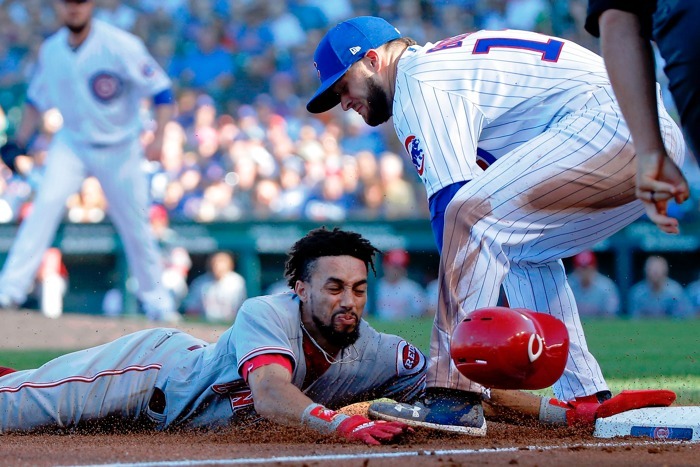 Also, it’s not lost on me that the Cubs have already jettisoned a one-dimensional bench guy (Tommy La Stella) whose value was at least debatably comparable to a speed/defense guy (see our Terrance Gore discussion here). So, in a weird, backwards way, it’s like there’s an open spot on the bench now for a unique guy! One big caveat is that when Hamilton was first presented with the idea by Sawchik, he hated it. But then, who wants to be any kind of bench player when you’re currently starting, right? Well, now that he’s a free agent, Hamilton might only get interest as a bench guy. But on the right team, when deployed the right way, he could be one of the most uniquely valuable – and heavily used! – bench guys in the game.